Go to any grocery store parking lot in Germany, and you will never…and I mean never…see any stray shopping carts rattling along in the wind or parked in the hedges. Every carriage is always tucked back in the rack, sometimes in color coded rows. In the United States I always put my cart back where it belonged, and I secretly enjoyed rounding up any strays I came across. Imposing order on this chaotic world, even in small doses, soothes my fastidious soul. My fellow countrymen, however, do not share my O.C.D. Most people leave carts wherever they damn well please. Yet, the difference in national shopping cart parking habits does not reveal some great divide between American and German gentility. 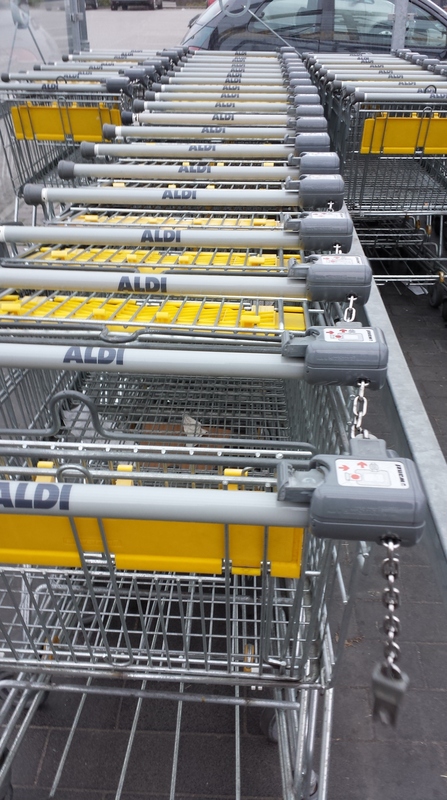 Germans do not return their carts out of an altruistic urge to avoid scratching their neighbors’ Audis. Instead, grocery stores in Germany simply engineer order into their systems. To get a cart, you have to unlock it from the rack with a coin. When you’re done, you can’t get your money back until you return the cart and secure it to its mates. It’s a simple system that works beautifully. The Student Scribe system works in much the same way; it’s a simple system, that once implemented, works with minimal effort on the teacher’s part. I first learned about the idea from Darren Kuropatwa, and I found his blog posts on student scribes very useful when setting up my scribe system for the first time.